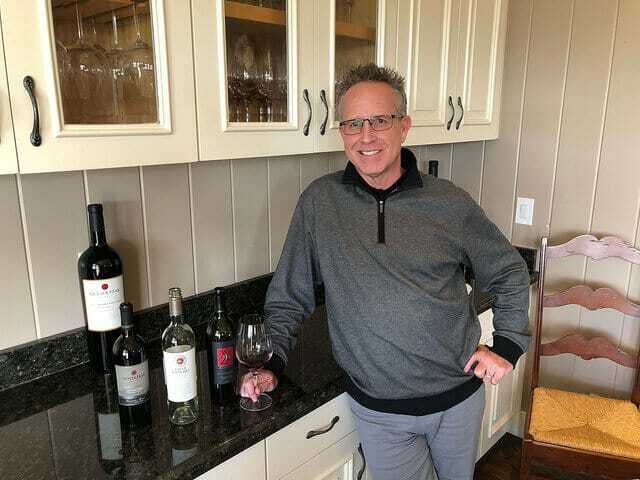 After the tasting I happened to learn the new (as of March) winemaker at Geyser Peak Winery, Randy Meyer, had a passion outside of wine I thought was intriguing. He’s really into roses. And no, I’m not one of those people who spell rosé without the accent over the e. (Here’s a great rant about that from one of my favorite wine blogs, The Drunken Cyclist.) I’m talking roses as in flowers and that Poison song. My father, who is a retired pediatrician, always had roses and would propagate them. One of our all-time favorites is the Double Delight. It’s got red edges and a cream center….Insanely fragrant. My dad used to propagate them and give them away to friends. So I remember when I got my first house he gave me a couple five-gallon buckets of Double Delight roses. It all started from there really. 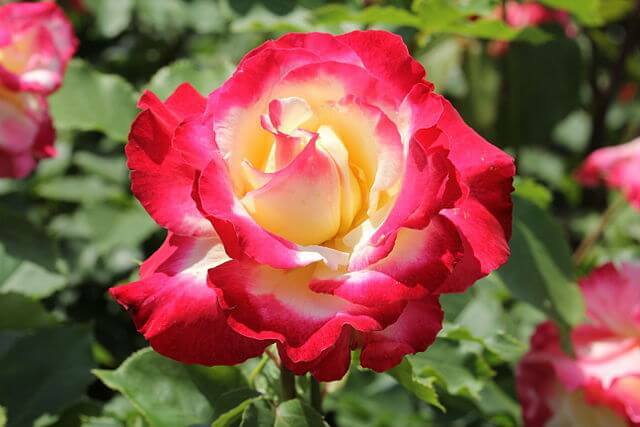 Double Delight rose photo via Wikimedia commons by Arashiyama. That’s funny I was just counting recently. I think I have eighteen in my yard now. It is true to a certain extent. With particular varieties, they [roses] can pick up powdery mildew or any sort of potential wet climate diseases before the grapevines pick them up. In a way roses are very similar to grapevines. They produce something wonderful, they go dormant, they have diseases, yet they’re hardy. When you’re out there gardening, there is this very slight artistic element to it. You take pride in raising that crop, whether it’s an amazing bouquet of all different kinds of roses or some amazing Sauvignon Blanc. The two do go very much hand-in-hand….There’s also attention to detail, a little bit of preventative methodology, that goes into both of them. We’re very lucky to have these vineyard sources in the three different valleys. I must admit they all are different. Those differences can either be accelerated or brought together depending upon when they’re picked [the grapes] and how they’re farmed. Alexander Valley’s the hottest. When we’re up there, we’re usually looking at making sure the grapes don’t get too ripe. One of my critical Sauvignon Blanc attentions to detail is maturity at harvest. It’s probably one of the pickiest grapes at harvest as far as nailing the maturity to the flavor profile. Alexander Valley being pretty warm, the acidity can drop pretty quickly. Those crisp flavors can drop out quickly, too. When you move to Russian River, you’re dealing with high acidity. And often times a slightly higher brix [sugar content of grapes] level that may not be damaging to the flavors….I tend to like Sauvignon Blanc from Russian River a teeny bit riper. 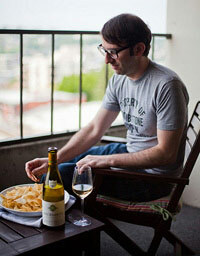 In Dry Creek, you’re kind of splitting the middle. The particular vineyard around the winery, I’d almost borderline call it pungent. Really aromatic, big grapefruit, passion fruit. With Sauvignon Blanc people used to use a bit of oak and the Fumé [Blanc style] was popular. Then New Zealand came on the scene….that whole trend took off. For the most part that grapefruit-y style, which is one of my favorites, seems to be what consumers are going after. And I’m more than happy to make it for a long time.